Fall is upon us. After summer vacation and quieter days online or in the office, activity boils back in a rush and suddenly it’s one stream of “I need this now,” “You’re the only one who can help,” “We’ve moved up the deadline on that project.” To handle all this activity, author Meg Wheatley says you need an “island of sanity,” a retreat or refuge where you can reclaim your best qualities and self. I learned about this idea from my friend and colleague Gabrielle Ganswindt, who studied with Meg and leads dialogue circles. Peer coaching can serve as an island of sanity, for you and for others in your organization. Peer coaching is an outcome-oriented method that helps you take a step back, a look in the mirror, and gain a refreshed view of your work and life situation. A new perspective for rethinking where you would like to make a change or improvement. With peer coaching, you’ll make better choices, have more courage and skill to protect time and energy for the things that really matter; and feel more engaged and connected. In our previous post, we introduced peer coaching and its benefits, relaying rigorous research by Polly Parker, Douglas T. Hall, Kathy E. Kram, and Ilene C. Wasserman and codified in their book, “Peer Coaching at Work: Principles and Practices.” In this newsletter, we’ll explore the first of three steps to successfully implement peer coaching, based on their research and my own experience with leaders and teams. Choose a format. For example, will coaching take place 1-1 or in groups? Create a strong foundation for the relationship. Provide tools people can use to deepen self-awareness and get to know one another. Peer coaching works in pairs or in groups. As an example, in a recent emerging leader program, we worked with the client to establish peer coaching groups that would support individuals in creating “Action Learning Projects.” These are specific products or services each individual would produce that were closely tied to the participants’ individual goals and objectives. Their peer coaches helped them think through their choices.Whether groups or 1-1, Parker, Hall, Kram and Wasserman’s research suggests that it is crucial that participants choose their peer coaching partners. Personal sharing. I believe that personal sharing is the process of becoming more visible as a person, or unhiding. With today’s pace of organizations and the exponential rate of change and new knowledge, no one has the answers but many of us hide this, we hide our weaknesses, afraid to admit what we don’t know. On the flip side, we can lose sight of our strengths, which are essential to share. Commitments: If you’re embarking on a voyage to an “island of sanity,” you won’t reach your destination without commitment. Barriers will arise—the last minute, unexpected client deliverable; school calls and the kids are sick; budgets shrink. A sacred commitment is what you are willing to do to make your peer coaching situation a success. Fall is upon us but December will be here before we know it. Time flies even if work-meetings seem to drag on and on. You reclaim your personal power over your circumstances by making time and saving energy for the things that truly matter. Using peer coaching, as your island of sanity, will help you get there. Run out of air? Turn to your buddy. Tangled in kelp? Signal your buddy. Encounter a great white in the Boston Harbor? Stay close to your buddy. Back up on the surface, organizational life has become a lot like the unpredictable waters below. The changing work of the future is here now and the waters are choppy. For example, we’ve come to accept that 70% of the workforce is disengaged. One of the big reasons, studies show, is that people feel they don’t have a manager who cares or a buddy who has their back. This matters because we need an engaged workforce to deliver results. Peer coaching involves peers of equal status who support each other’s journey and goals. For success, you must implement peer coaching correctly. Use these three research-based steps to implement peer coaching in your organization. Does organizational life need a buddy-system? Yes! But the old “mentoring” programs, when a wise sage imparted knowledge to a fledgling executive, don’t meet today’s needs. Instead, peer coaching has surfaced within the last ten years as a crucial and possibly more outcome-oriented alternative. What is peer coaching? Is it different from mentoring? Peer coaching is a “focused relationship between individuals of equal status who support each other’s personal and professional goals,” say my colleagues Polly Parker, Douglas Hall, Kathy Kram and Ilene Wasserman, in their latest book, “Peer Coaching at Work: Principles and Practices.” Through decades of research, these experts in the field of mentoring and peer coaching have pinpointed the critical success factors that make peer coaching work. Peer coaching is for everyone. In a world where no single person has the answers, we need to make the workplace safe for people to admit when they don’t have knowledge or skills and make it easy for them to seek advice and support. This will lead to greater organizational efficiency and ease in accomplishing the audacious goals organizations—and individuals—need to achieve to survive. Why seek a peer coach or implement a peer coaching approach for your organization? Peer coaching delivers what many people seek—opportunities to grow and develop, to feel connected. In their research, Parker, Hall, Kram and Wasserman found the surprising benefits of peer coaching include greater “zest, empowered action, new knowledge and skills, enhanced self-awareness and a desire for more connection.” All of the benefits are well-accepted components of employee engagement. Mutual goal-setting. Mentoring assumes that the mentor has knowledge to impart. The peer coaching process requires each learner to set goals and help the other move toward achieving those goals. Method. Mentoring is often informal. Peer coaching uses a proven method – evidence-based approaches and tools which elicit insights and meaning and translate them into action. Accountability. Mentors do not hold mentees accountable for outcomes. Peer coaching processes build-in accountability mechanisms. Assumptions. Mentors may or may not be skilled in challenging mentees to face and challenge the assumptions that drive their behaviors. Peer coaching is a skilled process for surfacing assumptions. Feedback and Feedforward. Mentors may pull punches or not. Peer coaches hold a mirror for one another and aren’t afraid to offer a picture of their colleague’s behavior and impact, or to offer advice for future success. How can you successfully implement peer coaching in your organization? Create a strong foundation for the peer coaching relationship. Create success through method, skills and self-awareness. Make peer coaching a habit, for yourself and for your organization. In each of the next three newsletters, we’ll take a deeper dive into each of these steps, so you have a roadmap for implementing this new-economy way of generating knowledge, innovation, insight, engagement and connection, for yourself and for others. What impressed me most about Carmen, scuba instructor #8765432, was her forceful yet caring way of ensuring that we each did what was needed to survive the unexpected while underwater. When it comes to scuba diving, I can’t imagine going to any depth without a buddy. Like Carmen, all scuba instructors are required to have a number. People have come to feel like numbers in organizational life. Peer coaching is an important solution to creating a more human workplace, with greater depth of connection and learning. But buyer beware: peer coaching isn’t just getting together for tea or happy hour. Success is a matter of being intentional. Before you take the plunge into peer coaching, make sure you have a plan. Much of my writing is about The Nexus – that magical intersection where your professional passions merge with the needs and goals of your organization to create a win/win that moves productivity forward toward the big goals. That is the core of my recent book and the foundation of what I coach leaders about how to get the best out of themselves and their organizations. Many of you were with me along the journey of another book I started to write many years ago, When We Were Made in America. (That’s the latest title. I haven’t given up on that work.) After Grub Street, Boston’s premier, national creative writing center, accepted me into their 10-month pilot program called the Non-Fiction Career Lab, I imagined I’d write that book in nine months. But I struggled with the lack of self-confidence that comes at mid-career when you dare to leap from something you know (leadership coaching and organizational consulting) to the unknown, which for me was non-fiction writing. When I settled in my seat every Wednesday, I felt intimidated by the sheer talent of my instructors and classmates, who included a brilliant New York Times columnist, a celebrated local author, and rising-star classmate whose work was immediately featured in Boston Magazine. They were quick to pick up nuanced ideas and writing conventions and used sophisticated words. But what stood out the most, is they got up to bat, made more shots on goal, submitted their writing to journals, periodicals and magazines and got back on the horse, rejection after rejection. My friend Molly submitted an essay to more than 100 outlets and never gave up until she got that essay published. Between you and me, I took one shot on goal and submitted an article to HBR, got rejected and didn’t submit anything else. Struggling to find the core message of my writing, I felt miserable; disconnected; farther from The Nexus than when I’d started. I froze and could not move forward. Have you seen this bumper sticker that advises, “You’re a Human Being, not a Human Doing”? I hate that bumper sticker because the truth is I am happiest when I act; move forward. Don’t get me wrong, there are many benefits to being still and reflecting. “We don’t learn by doing, we learn by reflecting on doing,” the educator John Dewey famously said. But we can’t remain frozen in our dreams or thoughts without acting in the world, without taking a shot on goal or getting up to bat once we’ve decided on a goal, direction or purpose. My heritage is Italian, and my family spent a few years living in Rome, Italy. Italians use the word avanti, which means “move forward.” Action is what enables you to gain experience and learn about the world, a topic, someone else; yourself. I find myself not wanting to sit still. I want to be in the world. To be connected. To move forward. With verve. How about you? From this perch, with so much of 2018 still ahead, what is your “doing”? What is something you’ve been wanting to do but have been afraid, frozen? Write that down, let it sink in … and then say AVANTI! When I look back at this year, from the vantage point of being a 90-year old in a rocking chair, what will have been most important? What will I feel good about? What will I want to remember from 2018? The year 2017 brought many blessings, including the warm reception for Take Charge of Your VIEW: Career Advice You Won’t Get From Your Boss. With that book and the bustle that followed came a greater sense of moving toward my life purpose. The goal I set for the beginning of 2018 to was to articulate what my work is about – in one word. Big companies are known for a brand, an intangible quality beyond the product they offer. Disney offers happiness through magic. At Prior Consulting, we provide leadership coaching and change consulting. But what one word can capture the essence of the unique way our vision and work impacts the world? But none of these fully capture the essence of how our clients shift when we work together. Digging deeper, I realized that my specialty is helping clients zoom in on where these ideas connect, where they join together to make something bigger—what I call The Nexus.. Your Nexus is where your work feels connected to a deeper purpose; where your vision and passion intersect with the goals and needs of your organization; your community and the world. The Nexus is where we connect to each other, and ourselves, to make something bigger happen. What is your Nexus? Who will you connect with in 2018 to create something bigger? And how will you together make your mark in the world? It’s that time of year to think about what we are thankful for. With the publication of my book this year and the rush of excitement and events that followed, my thoughts go back to how my journey as an author started twenty years ago…at midnight on Thanksgiving. Turkey leftovers chilled in the refrigerator. Our six-week old son and three-year old daughter slept upstairs in my in-laws’ home. The tables were cleaned, lights dimmed. I sat alone at the kitchen table, cursor blinking on the laptop, and typed the first words on a research paper on career development I had been invited to publish through the Executive Development Roundtable at Boston University. At midnight, my father in-law appeared at the kitchen doorway. “What are doing?” he asked. I replied that if I didn’t write up my research findings on the career development practices of 17 organizations now, I’d never find time when I returned to work. The world was changing. Jobs were changing. A new way of work was emerging. Career development would be key to the success of employees and employers alike. Fast-forward twenty years. 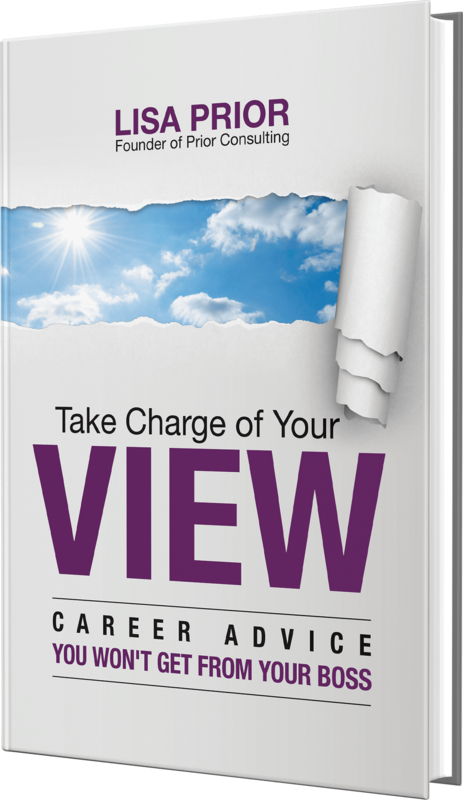 This past June, that six-week old baby, now a wonderful young man, accompanied me to the New York Book Expo to launch, “Take Charge of Your VIEW: Career Advice You Won’t Get From Your Boss.” The reception since then has been amazing. In the months ahead, you’ll hear more about my interviews with Forbes; the Economist; podcasters and radio stations across the country, and even a few case studies about how organizations have been using my book to build win-win relationships so people bring their best selves to their work and organizations achieve bold goals. Everyone thrives today and tomorrow. That’s the vision I share in my book. I can’t find the words to express my heartfelt thanks to so many of you who have been with me along this journey. From old friends to new champions, you’ve filled my heart with the belief that it takes a village to get anything worthwhile accomplished. Thank you for so much support. -What is one thing you are grateful for today? -What is one specific interaction with a colleague, customer, or boss that you felt good about? -What is one pearl of wisdom, something you learned? TIP: Consider starting a gratitude journal this week, during Thanksgiving, a time of being thankful and reflecting on what is good. Wishing you and your loved-ones abundant peace this Thanksgiving, and the life and career of your dreams along the path. PS: To my Boston area friends, Take Charge of Your VIEW will soon be available at Newtonville Books and at Brookline Booksmith! Before my new book on career development, Take Charge of Your VIEW, launched last month, I was writing to you about the five key ingredients in the secret sauce that makes great teams. I took a break from this to let everyone know about my book release, but am now returning to let you know the remaining ingredients that lead to success. A quick reminder, the first three ingredients are the need to inspire purpose, establish team norms and support each other. What I believe: when it comes to work, quality is love. My Nana’s sauce was delicious because she sweated the details: she hovered over the bubbling red liquid to ensure it simmered at just the right temperature, protected it from high heat, and focused her attention as she added salt or oregano. Your work quality is your love. It reflects the time and energy you are willing to allocate to provide great service, produce a great product, be a great Manager/Leader. Crucial to ownership is understanding that group quality is every individual team member’s job. Each team member is the one person ultimately responsible for their own tasks and when each individual achieves, the team as a whole achieves. Tips you can use: In your next team meeting, ask each team member to describe what quality means to them. Tell them about why you are passionate about your work. What do you love? How can the team help one another demonstrate ownership for what you achieve together? What’s the most important ingredient in the relationship between team members? Trust, you say? Philosopher Onora O’Neill respectfully disagrees. Focusing on trust “gets the equation backwards,” O’Neill says in her TedTalk. Trust is something other people earn from you. Trustworthiness, on the other hand, is something you earn from other people. Reliable: you follow through with commitments and keep promises. Sincere: you are transparent about your motives. Competent: you demonstrate the skills needed to get the job done. Instead of worrying about how your colleagues need to earn your trust, be the kind of person that your colleagues trust. You will not only get more done together, but will have more fun doing it. Tips you can use: In your next team meeting, ask team members to describe how they can personally demonstrate more trustworthiness. I hope you’ve taken away some useful insights and practical tips. In the meantime, I wish you and your teams much satisfaction and success, wherever you are in your journey. Welcome to Careers 3.0 – we all work for ourselves now. A few days before my new book, Take Charge of Your VIEW, launched on June 2, I had the pleasure of being interviewed by Marion Estienne PhD, in her podcast on leadership, Present Tense Future Perfect. Corporate culture has changed from a place where employees follow a pre-determined path of tasks and promotions that automatically take them to the next opportunity in the organization (Careers 1.0) to one where the employees seek out opportunities that line up with their passions and strengths. In today’s “careers 3.0 culture” you work for yourself, whether you have your own company or work for an organization. No longer is career development side-lined to the HR department of a company. In companies that thrive today, career development is a core part of corporate culture. Companies want engaged employees and engagement surveys show that career development ranks as one of the top three qualities people look for in a company. The bottom line is that people are looking for work that taps into their best self. This is a win-win for the employee and the company. The best leaders and company cultures are those that support their people to take charge of their careers by exploring how they can develop themselves within the company and providing opportunities for self-development. Two factors must exist for this to happen: first, employees must be given the tools to help them navigate work opportunities at the organization; second, managers must be willing to have these meaningful conversations with employees about their development and engage then in conversations about their VIEW. Today’s Tip: The best leaders and company cultures are those that support their people to take charge of their careers. I invite you to listen to the entire show about career development today and the six-week journey my book will take you through to find your best self. Present Tense Future Perfect podcast link here. Direct link to my interview here. In our previous post, we met in my grandmother’s kitchen and I introduced the first of five secret ingredients of great teams. We began with inspiring purpose. It’s time to reveal the next two. Tony* had the steering wheel. Seven of us crowded in a circle, gripped the metal bar, and pedaled across a parking lot at the Googleplex. It was a sunny afternoon in Palo Alto, California. Our group, the Executive Development Roundtable, part of Boston University’s Questrom School of Business, had been walking the campus with its 3.1 million square feet of office space on an insider’s tour. When we stumbled upon this strange, yellow contraption of pedals and bike seats, we jumped at the chance to take a Google’s “meeting bike” for a test drive. I imagine that the seven-seat bicycle shaped like a roundtable was just one of Google’s many experiments to uncover the secrets of great teams. More symbolic than practical, Google’s insatiable appetite to dissect the behaviors that drive team performance led to a data-driven study. Two hundred Google teams went under the microscope to pinpoint the special sauce of a great Google team. The findings surprised the quants (people who really, really, really like numbers): great teams live by a set of norms. Norms are agreements about how people will work with one another. The two norms of most importance? Turn-taking and empathy. Turn-taking means giving each person a chance to be heard. Empathy is the skill of putting yourself in someone else’s shoes. How would your team do under Google’s microscope? Tips you can use: In your next team meeting, ask people to read this New York Times’ article on Google’s findings. 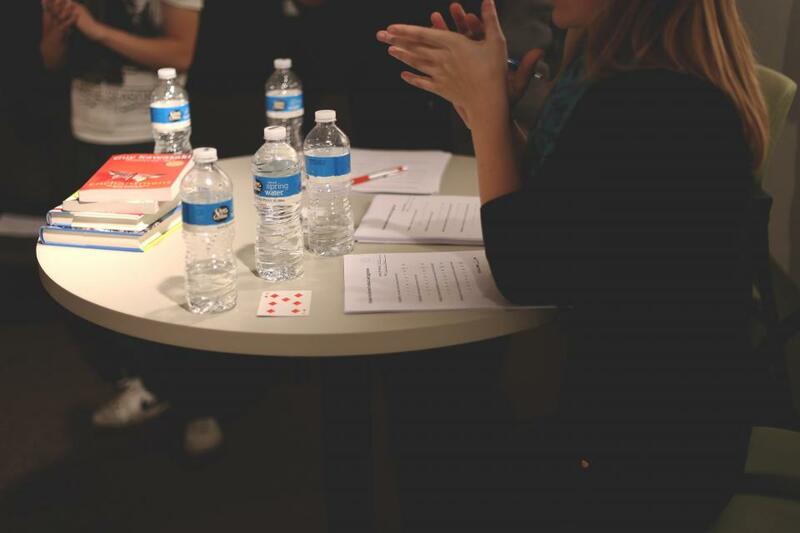 Lead a discussion where you ask the team to pinpoint instances of turn-taking and empathy. Ask how the team could increase the use of these crucial skills, for greater enjoyment and productivity. Up next, we’ll head to Arlington, Virginia, to learn about ingredient #3, where I was certified in a powerful team coaching approach by my friends at consulting firm Corentus. *That isn’t ‘Tony’’s real name. Think of the best team you’ve been part of. What qualities did that team possess? How did youfeel about being part of that team? If you are like most people, your best team was committed to an inspiring purpose and lived by a set of norms. But more than that, you probably felt like your team mates were on your side. And you returned the feeling. My friends at the consulting firm Corentus stumbled upon this insight through their 20+years of studying the DNA of great teams. I learned this on a wooded campus in Arlington, Virginia during their team coaching certification. On the best teams, people are mutually supportive of one another’s professional goals. They achieve great heights by helping each other stretch and achieve the things that matter personally to one another. Tips you can use: In your next offsite retreat, make time for people to share their professional goals. Lead a discussion about how you can help one another find more enjoyment in the NeXus between people’s personal, professional dreams as well as the organization’s goals. Our next post will tell you about ingredients 4 & 5 and leave you will the full recipe for the Secret Sauce of Great Teams. In our last post, we discussed that there are five key ingredients to creating a great team. Inspiring purpose is the first ingredient that distinguishes great teams from good ones. Whenever I ask a group of leaders, “What makes a great team?” I hear the same, accurate answer: a common goal. It’s like saying the secret to great tomato sauce is tomatoes. To delve into this a little more, let’s return to my grandmother’s kitchen. On Sundays, we’d hover by the white stove stop, waiting for Nana to turn her back. When she wasn’t looking, we’d dip a torn corner of fresh Italian bread into the pot of tomatoes, basil and olive oil simmering into a boom of red sauce and sneak a quick taste. The purpose of food is nourishment. More than that, Nana added love. 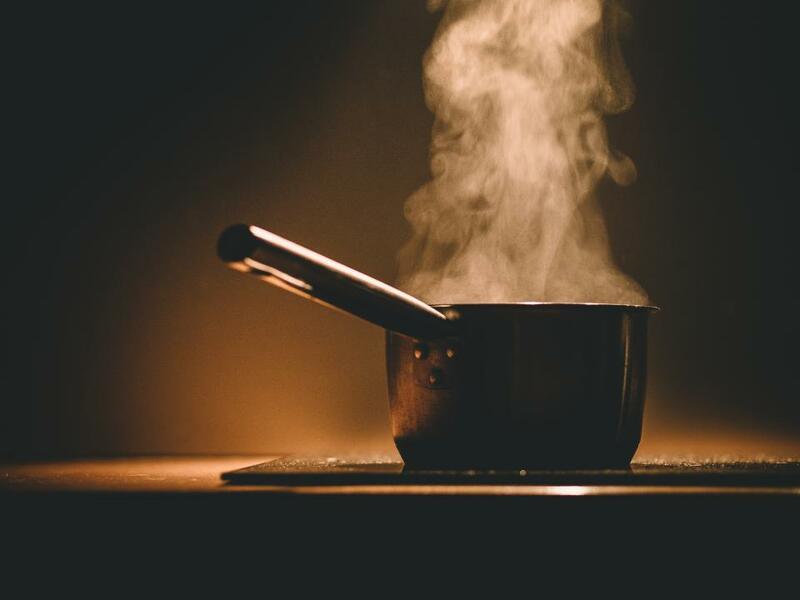 She stirred frequently, added ingredients slowly, and probably smiled as she turned away from the pot and we swooped in. Her food brought us together and kept our Italian heritage alive. That’s what inspired us and made her food great. In my experience, great teams feel great commitment to something beyond a common goal – they feel inspired by the greater purpose of their work. As a leader, you have an opportunity every day to connect people’s goals with greater purpose to their work. This is important for everyone, especially Millennials. If you want to accomplish great things together, regularly remind people of the inspiring purpose for their work. Tips You Can Use: Here are a few secrets from my toolkit to help you inspire your team to greatness. With your team: One of my favorite team development experiences that I designed is called “I am Here.” At your next team meeting, take five minutes out of your agenda. Ask people to take out a paper and write the reasons why they chose to work in your company or team. Then ask them to share their answers with the team. I’m always amazed by the common threads people offer. This experience works well in large groups as well. In our next post, we’ll leave Nana’s kitchen and turn our attention to Palo Alto, California, where Google’s data-geeks uncovered the next key ingredient of great teams. I’ll offer more details on the other four key ingredients and actionable steps you can take as a leader to put them to work in your teams. KEY TAKEAWAY: great teams feel commitment to something beyond a common goal – they feel inspired by the greater purpose of their work. Stay tuned for our next post to learn about the next key ingredient to great teams. "High performing cultures improved net income 756% over ten years vs. 1% for low-performing cultures."